The finer things in life are things we treat ourselves to on special occasions. Your wedding is definitely one of those occasions. The Coffee Table Book is excited to introduce our Fine Art Wedding Albums which we consider to be one of those finer things in life. 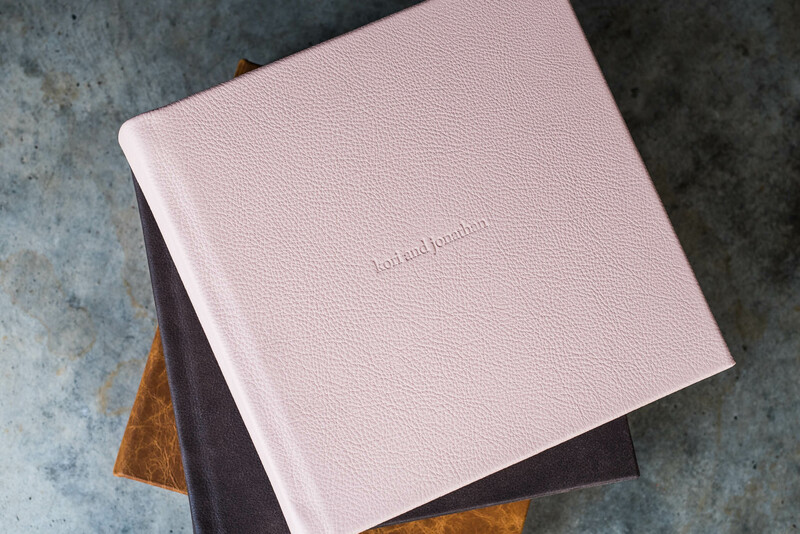 We love the quality and feel of the fine art album and think all newlyweds deserve to have one of these beautiful wedding albums to display their wedding day memories. The more time passes, you will realise your wedding album will become that priceless book your children grow up looking through to learn about their family. Our design style approach is to showcase your images in a beautiful storytelling manner to capture how your real wedding day unfolded. In most cases, couples realistically end up with a 60-90 page (30-45 spreads) wedding album. It is hard to envisage what all the above will look like, but don’t stress, we have it covered. It’s much easier once you see the design laid out and it will all make sense in how the above all comes together. There are 2 types of presentation box styles available to store and protect your album and looking pristine for generations. Choose between the Clamshell or Slipcase style of box. Parent albums are also available with the purchase of an album. Parent albums are a replica copy of the master album in either the same size or smaller. For example, if the master album is a horizontal 14×11 the parent album must be either a 14×11, 12×9 or 10×8. If the master album is a square 10×10 the parent album must be either 10×10 or 8×8, but not the larger 12×12. For pricing visit the wedding album pricing page. For information about ordering, visit our FAQs page. To order, please complete the online order form here. Please either upload your photos to a Dropbox or similar online storage facility and send us the link in the order form. Alternatively put your digital photo files on a USB and post to The Coffee Table Book, PO Box 260, Northmead NSW 2152. We will acknowledge receipt of your order when we have received your order form and the images. A non-refundable retainer of 50% of your order value is required at time of order placement to start the job. The balance is due on approval of the artwork. We use an online proofing system so you get the opportunity to review your design and make changes before going to print. The price includes two rounds of changes. On approval of the design, manufacture takes approximately 3 weeks, with your album arriving on your doorstep in around 4 weeks. We deliver to anywhere in Australia with delivery included in the price.